Manual therapy is a major focus of our practice philosophy and treatment approach. 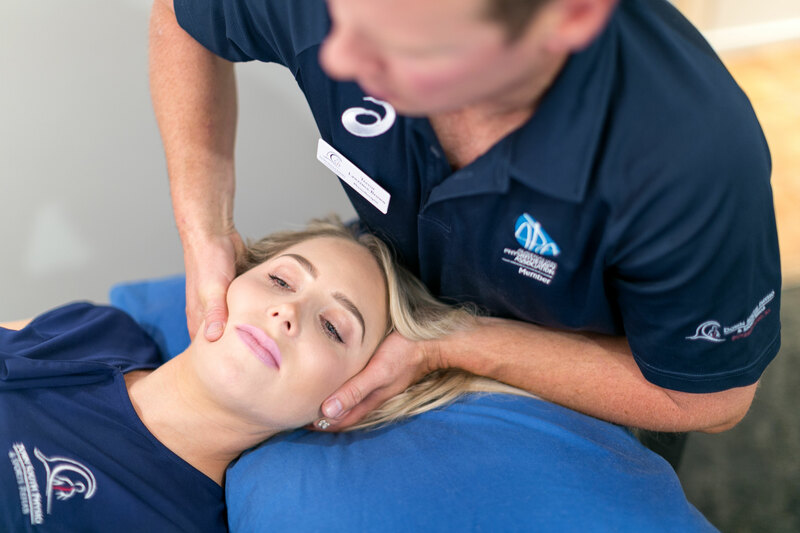 This means "hands on" treatment methods including soft tissue work, muscle release techniques, joint mobilisations, spinal manipulation, dry needling and movement techniques. Our practice has multiple treatment rooms and a rehab gym. We assist with injuries across a range of sporting codes. Our physios are experienced working with teams and organisations in a sports physiotherapy capacity. The significance of returning to sport is well recognised by us and through our rehab methods. Physio guided exercises is specific to a person's individual needs and applicable to a range of situations. We use WA made stainless steel reformers that are user friendly for all patients and sports participants. Additionally we have a trapeze table, Inspire weights machine, exercise bikes, treadmills, free weights and floor equipment to assist any rehabilitation or guided physical activity. South West Academy of Sport (SWAS) assists young athletes in the South-West region who excel in their sport. We are happy to be linked with SWAS as a service provider for the Dunsbourough and Margaret River area. Our services include treatment, physiotherapy screening, injury diagnosis, post-op rehab and strength & conditioning programs.